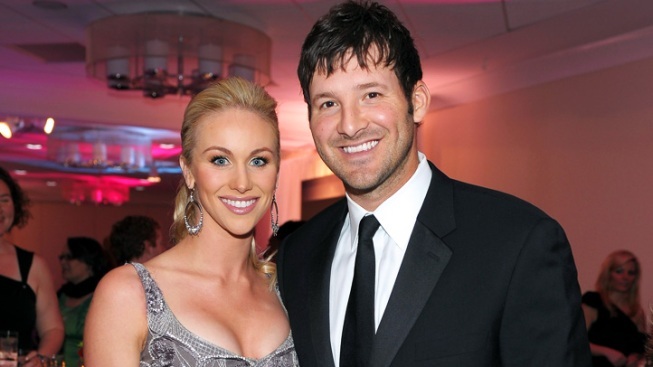 Candice Crawford and Tony Romo are parents to a baby boy. Tony Romo and his wife have welcomed a baby cowboy to their family. The Dallas Cowboys quarterback and wife Candice Crawford’s first child, a baby boy named Hawkins Crawford Romo, was born Monday, a Cowboys spokesperson confirmed to People mag. "Congratulations to Tony Romo, proud papa of Hawkins Crawford Romo, born yesterday at 5:30pm. 8lbs 8oz," the team wrote on its official Twitter page. Romo, 31, met Crawford, a former Miss Missouri pageant winner, when she was a sports journalist at a local television station. They started dating shortly after Romo split with Jessica Simpson and went on to tie the knot in May 2011. “He was born ready to have a family…so it makes perfect sense," Crawford told Us. Romo announced his wife's pregnancy last October during his speech at Cedar Hill High School in Texas. When a student asked if he had any children Romo revealed that his first was on the way, Yahoo reported at the time.